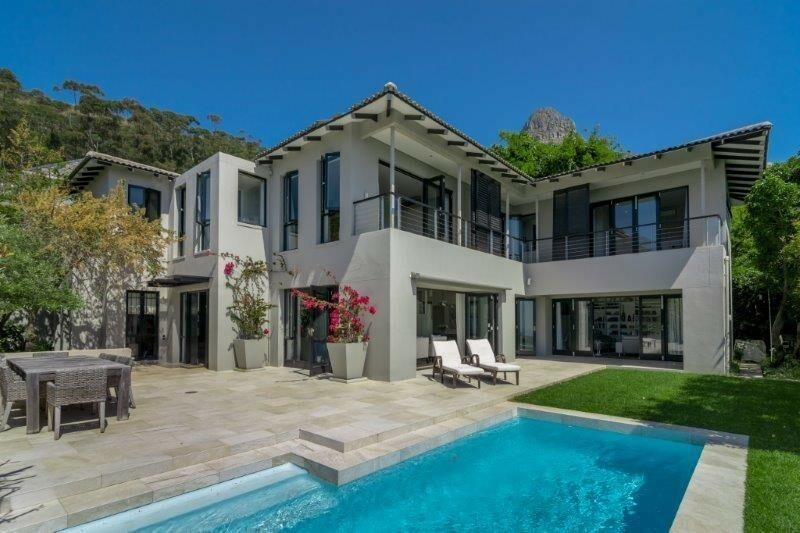 Sign up and receive Property Email Alerts of Houses to let in Fresnaye, Cape Town. Offering 4 bedrooms, 2 bedrooms with en-suite bathrooms. The 3rd and 4th bedroom share a separate full bathroom. The main bedroom is luxuriously en-suite with separate walk-in dressing room. The home offers great variety for multi-generational families. The home offers superb positioning, with great views from the outdoor entertainment area, as well as 3 of the 4 bedrooms. The outdoor dining area offers space for 8 people which is perfect for alfresco dining. The house offers an open-plan lounge, dining room, kitchen as well as 2 TV rooms. Garden, swimming pool and outside eating area as well as barbeque facilities. The 2nd television room is situated directly in view of the outdoor area and pool, therefore a great entertainment area or as a good viewpoint for watching the kids play. All 4 bedrooms are located on the 2nd level as well as an open-plan study. The house offers a quiet, central and secure location boasting superb views. The cul-de-sac in which it is situated has a 24 hour security guard. The home is ideally suited to 3 or 4 couples or a 5-6 member family. Sign-up and receive Property Email Alerts of Houses to let in Fresnaye, Cape Town.